TEHRAN: Sri Lankan households might get a chance to breath a sigh of relief if the Iranian Government agrees to sell Liquefied Petroleum Gas (LPG) to Sri Lanka at a concessionary price. 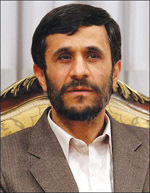 This is under intense consideration by the Iranian Government and the forthcoming visit of Iranian President Dr. Mahmoud Ahmadinejad, will give Sri Lanka the opportunity to broach the subject which is expected to be favourably considered in the light of the growing friendly ties between the two countries, officials here said. President Mahinda Rajapaksa's visit to Iran in November last year and the talks the President had in Tehran with the Supreme Leader of Iran Ayatollah Khamaini and President Dr. Ahmadinejad have facilitated substantial economic cooperation between the two countries, with Iran pledging aid for two major projects in Sri Lanka in addition to availing to Sri Lanka, interest free credit for crude oil purchases, all valued at US$ 2,042 million, they said. Sri Lanka's Ambassador to Iran M.M. Zuhair said we have presented a strong case to the Iranian authorities to consider a discounted price for long term purchase of LPG an essential commodity that impacts on the cost of living. "Unlike in the case of crude oil which is discount barred under OPEC rules except in marginal instances, price discount on sale of LPG, CNG and LNG have no such restrictions. Iran is fully conscious of the economic implications that soaring oil and gas prices are having on developing countries like Sri Lanka and we hope to get a positive response," he added. Against the background of rising prices of LPG widely used in all urban Sri Lankan households, the Sri Lanka Mission in Tehran in consultation with the Ceylon Petroleum Corporation (CPC) had been exploring LPG purchase from Iran, which too has a huge domestic market. LPG is required for use not only in domestic households but also for commercial and small scale industrial requirements. Liquefied Natural Gas (LNG) is used in major industries, as a cost saving component. The Mission has informed authorities in Colombo that this matter could best be taken up at the highest level during the forthcoming visit, and that Iran is very likely to consider favourably, a spokesman said. The Cabinet in March approved a proposal by Petroleum and Petroleum Resources Development Minister A.H.M. Fowzie permitting the CPC to enter LPG retail business to enable consumers to purchase the limited quantity of LPG produced at the Sapugaskanda Refinery at a reduced price. The Sapugaskanda Refinery produces 1,500 MT of LPG per month, which is sufficient to meet only 10 per cent of the current demand in Sri Lanka. A positive Iranian response would be a huge boon for the CPC to enter the LPG market and enable the CPC to make available LPG to households in Sri Lanka at more reasonable prices. Meanwhile, media reports here said that Russian President Vladimir Putin in the course of his talks with Libyan leader Muammer Ghaddafi in Tripoli, Libya on April 16 has proposed the setting up of an OPEC style body of gas producing countries, aimed at monopolising gas prices a matter which appears to be in the offing. However, a long term gas contract if prioritised would help Sri Lanka to avoid any such developing situation, a spokesman for the gas industry here said. Iran has the second largest gas reserves in the world and has good access to East Asia both by land and sea.